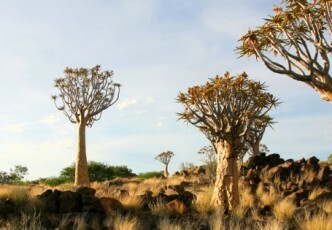 Explore Namibia’s famous desert dunes on a Sossusvlei tour with Springbok Atlas. 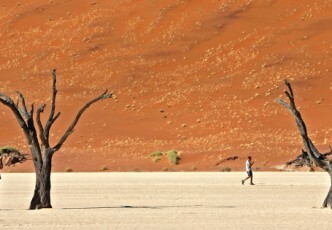 Sossusvlei is an extraordinary dry salt and white clay pan surrounded by soaring red dunes in the Namib-Naukluft National Park, in the south of the country. 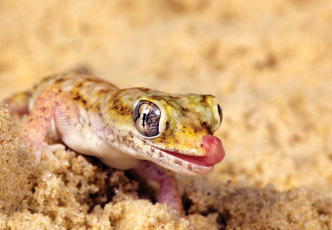 The dramatic wind-formed dunes in this area are among the highest sand dunes in the world. 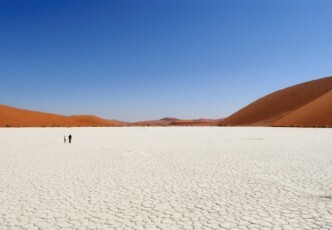 It is here that you can appreciate the vast soul of the Namibian desert and the delicate balance of life that is sustained by little more than the fine Atlantic fog. 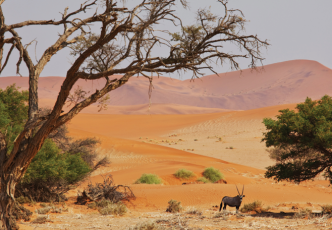 Discover breathtaking desert vistas with sands that change colour from deep ochre to mauve before your eyes when you visit Sossusvlei Namibia with us. 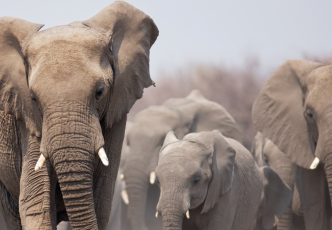 Our Namibia holiday packages to Sossusvlei give you access to the the Namib-Naukluft National Park, the largest game reserve in Africa, and fourth largest in the world. 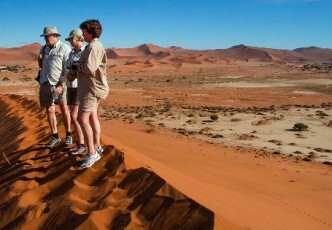 Our Sossusvlei tours include Sesriem Canyon, Dead Vlei, the gigantic dune known as Big Daddy, the highly photogenic and accessible Dune 45 and the petrified dunes. 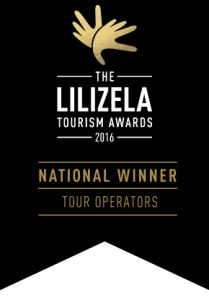 Browse our best selection of Sossussvlei tours below or speak to an agent today.